Debuting Anantara’s authentic luxury in Europe from 1 April 2017, Anantara Vilamoura Algarve Resort offers a landmark of quiet prestige, along southern Portugal’s picturesque Algarve coast. 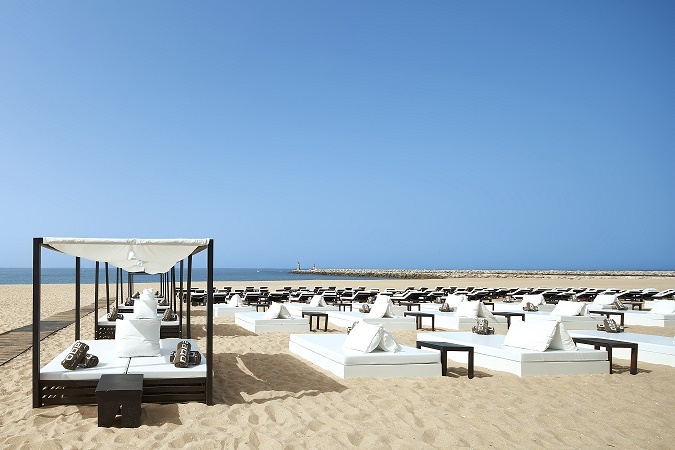 ANANTARA as a brand stands for “Indigenous” therefore the Anantara Vilamoura Algarve Resort offers a whole Portuguese & Algarve Luxury experience in every sense. Boasting a tranquil setting close to all the glamour, this unparalleled property stands proudly and quietly in Vilamoura’s premium neighborhood, overlooking the Oceanico Victoria golf course designed by Arnold Palmer, just minutes from the marina and the sandy beaches of Vilamoura and Falésia. Revealing a journey of local artistry, the hotel’s sculptures, artwork, paintings and installations create a contemporary Portuguese gallery. Signature luxuries embrace you in spacious rooms, indulgent suites and penthouse prestige. Relax on elegant terraces, refreshed by rolling golf greens and cerulean pools. Feel renewed by spa pampering that draws on healing Algarvian traditions, exploring a unique Ayurvedic philosophy that is exclusive in the region. Drift between five beautiful pools. World-class facilities welcome families with fun dining, creative clubs for kids and teens. This all integrated resort offers luxurious accommodation options perfect for Couples (Honeymooners), Families, Golfers, Beach and Gastronomic lovers.